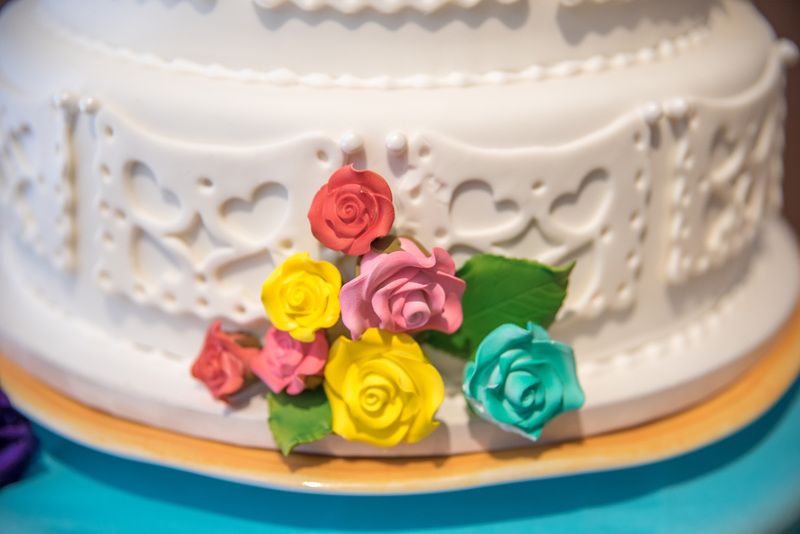 Spring is a wonderful time to get married! The snow is melted, the sun is out and the bright colors of flowers we missed all winter are finally starting to pop up. 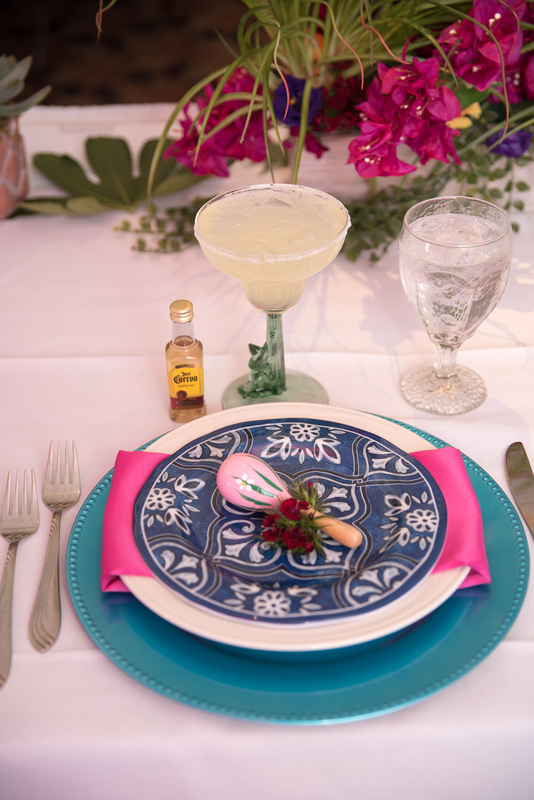 The idea of photographing a “Cinco de Mayo” themed stylized photo shoot came from choosing a date right in the middle of Spring. 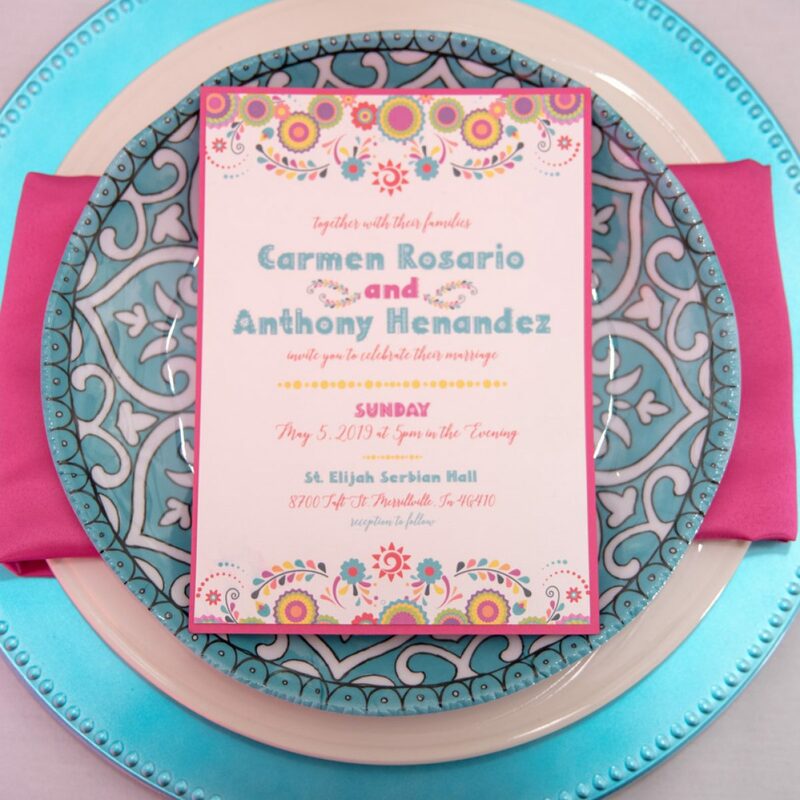 We tied everything together by incorporating bright colors, mismatched Spanish theme, a gorgeous model and yes, a TACO BAR! 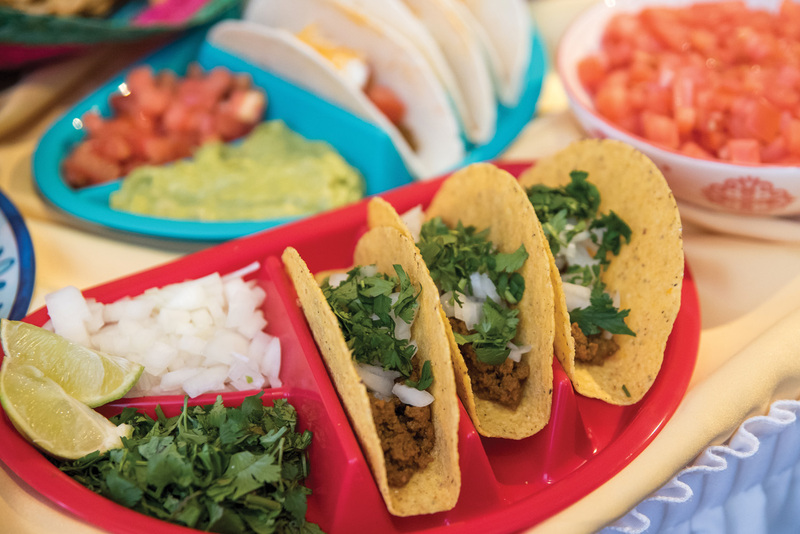 (Who doesn’t love tacos?) I hope you enjoy our fun twist on this theme. 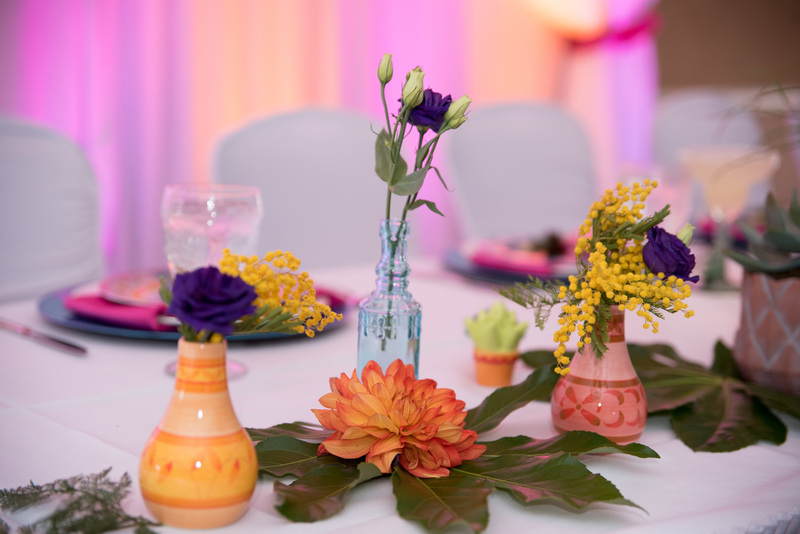 St Elijah Event Center is conveniently located in Merrillville, bordering Crown Point, less than a mile south of Route 30 on Taft. This exquisite hall is not to be overlooked when planning your big day. 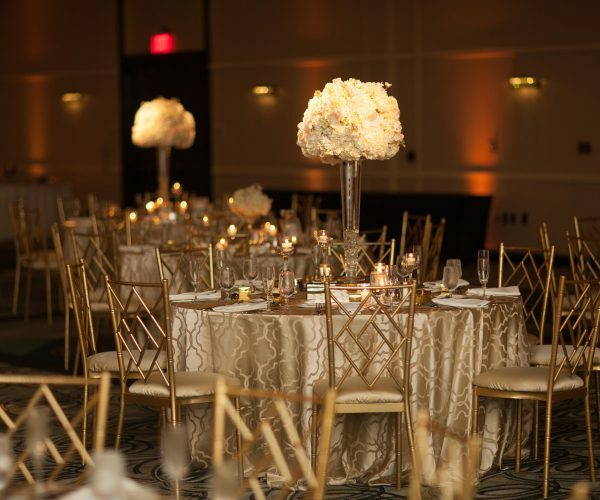 With a newly remodeled grand hall and lobby, it will give your wedding the personal and elegant touch you’re looking for. 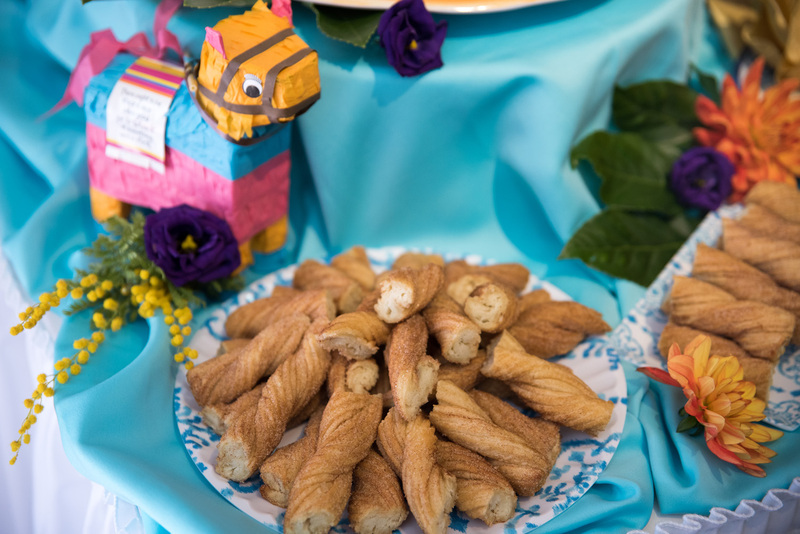 St Elijah has everything you need for your wedding, a friendly staff and incredible food provided by their in house caterer, Kaptur Events. There are two beautiful rooms to choose from. 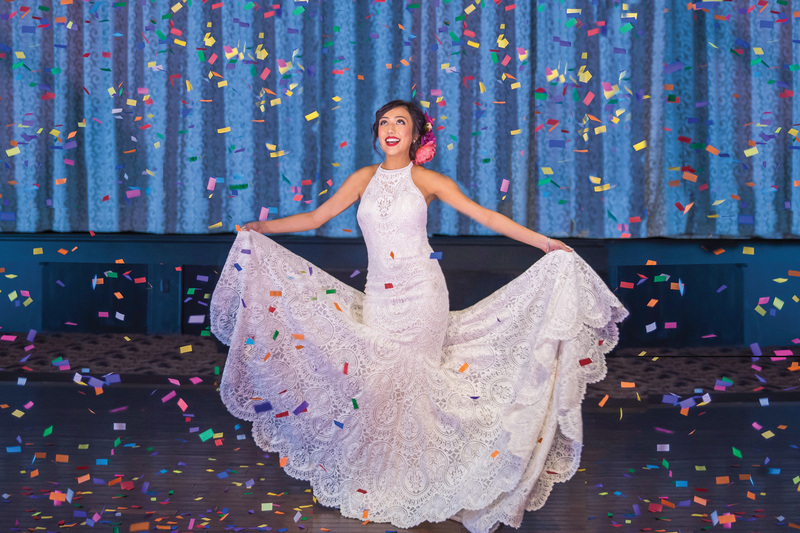 The West Hall can accommodate 50-150 people and the Main Ballroom can accommodate up to 450 people and has a 700 square foot dance floor for all of your unforgettable moments. The “Liquor Lounge” (bar area) is a guest favorite; showcasing a fireplace and stone bar with plenty of room to grab a drink and rest your dancing feet. 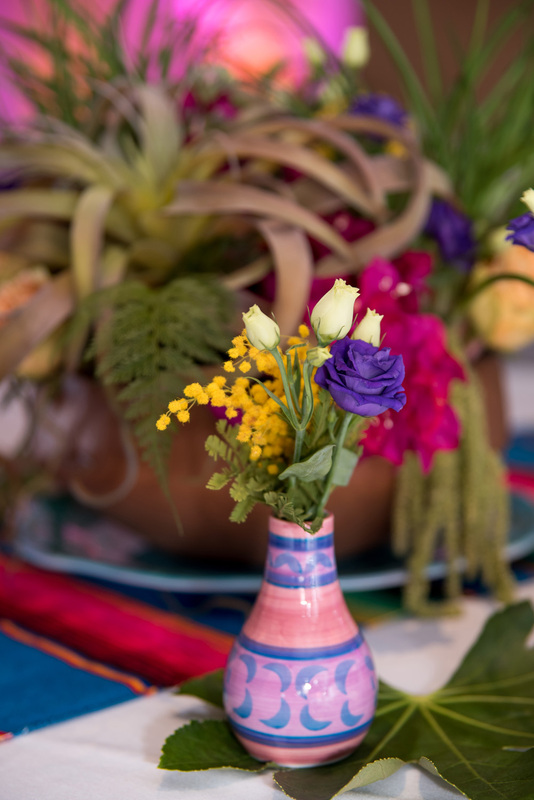 Kaptur Events provided the delicious taco bar for our stylized shoot but that’s not all they have up their sleeve. 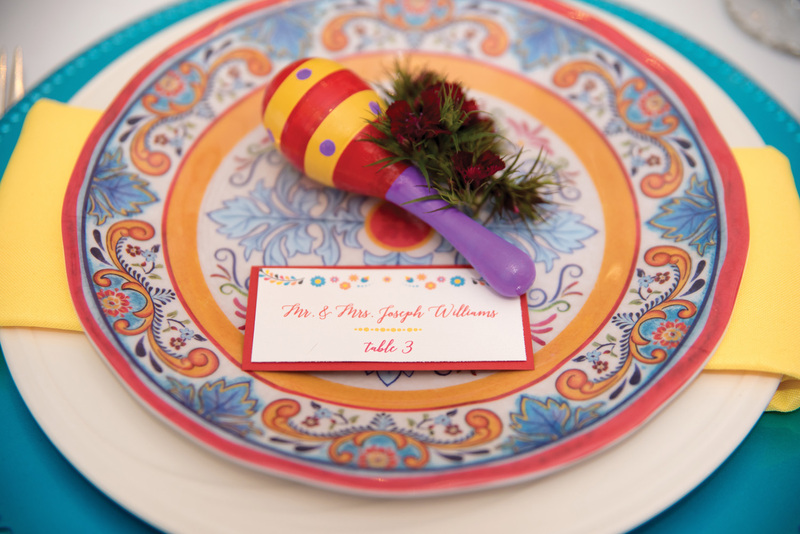 They are known for having a mouthwatering, creative menu to fit any style of wedding. 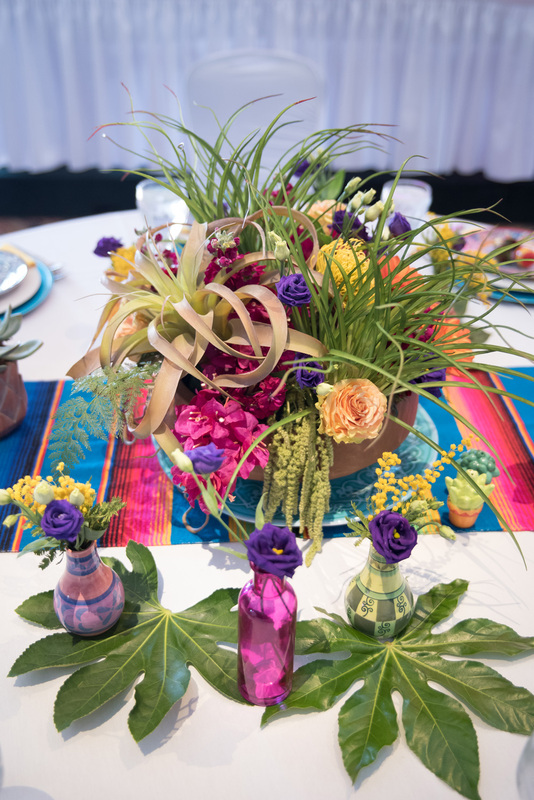 Charlyn did a fabulous job designing a bouquet and centerpieces that were perfect for our Cinco de Mayo theme! The colors were so bold and bright and the hairpiece she created complemented the dress so beautifully. 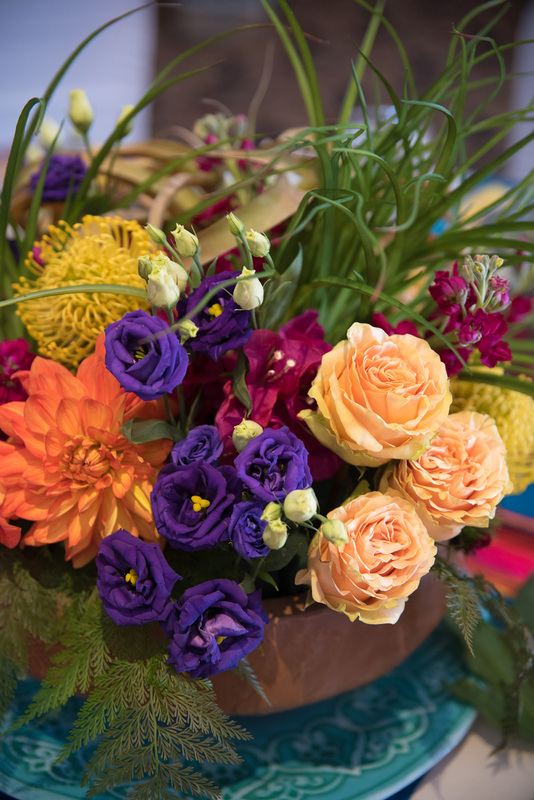 The mix of Red Anemone, Mimosa Yellow, Orange Dahlia, Protea, Lisianthus, Peonies and Green hanging Amaranths were absolutely captivating. 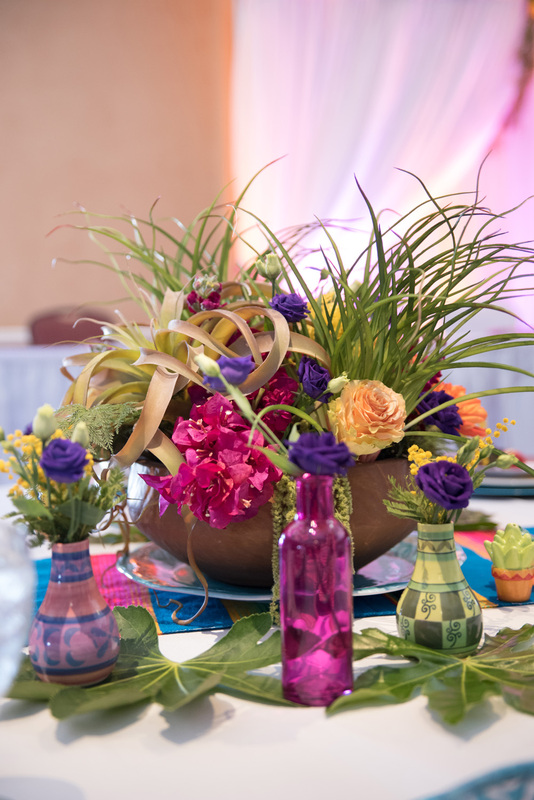 Charlyn has been designing flowers for over 20 years and loves the challenge of creating the perfect floral for your event to make your vision come to life. Uplighting is a great way to enhance the overall look of your event. 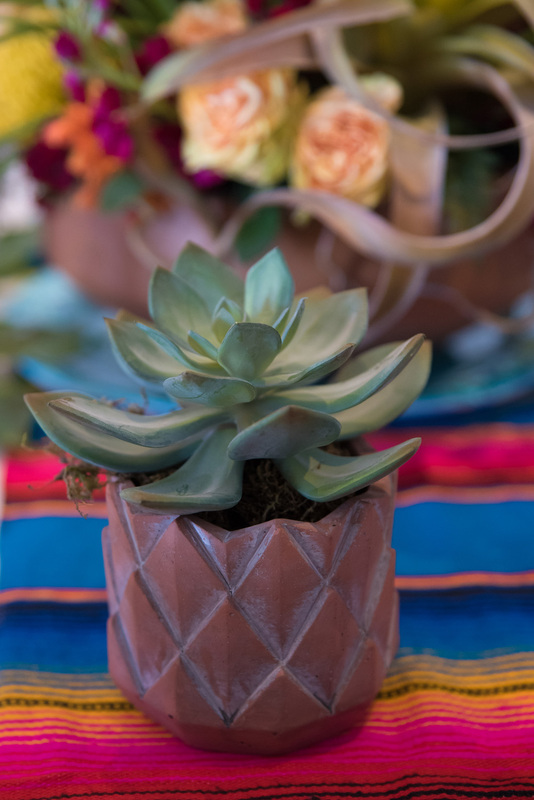 It can change the feel to a soft romantic glow, to a fun party atmosphere. Providing uplighting is only one of the many services Spinnin Productions offers. 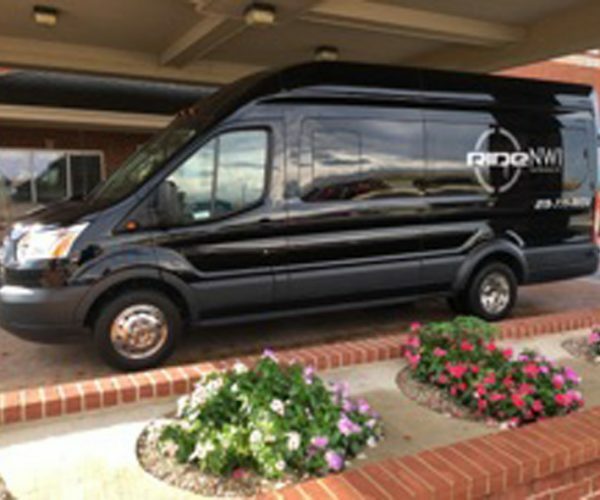 Spinnin Productions is best known for DJ / Emcee, Photo Booths and taking your event to the next level. 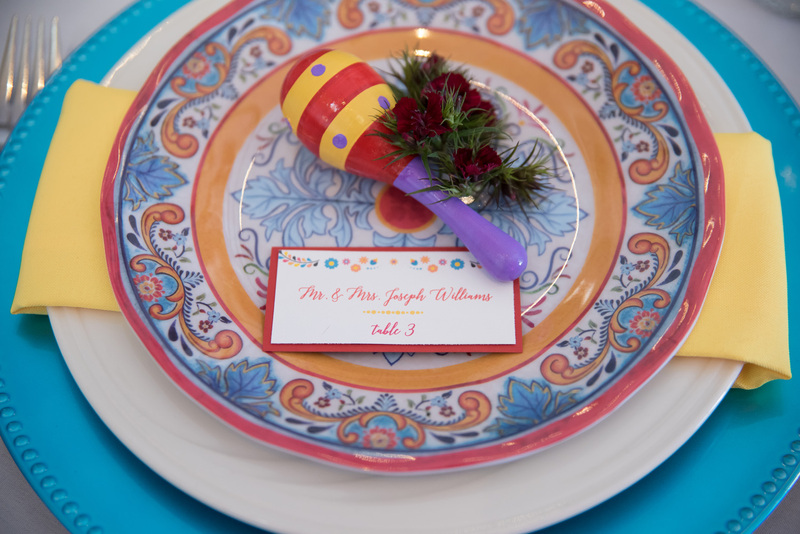 Your guests came to celebrate and party! Contact DJ Shaun Kelly about how he can help give you the party your guests will not stop talking about. 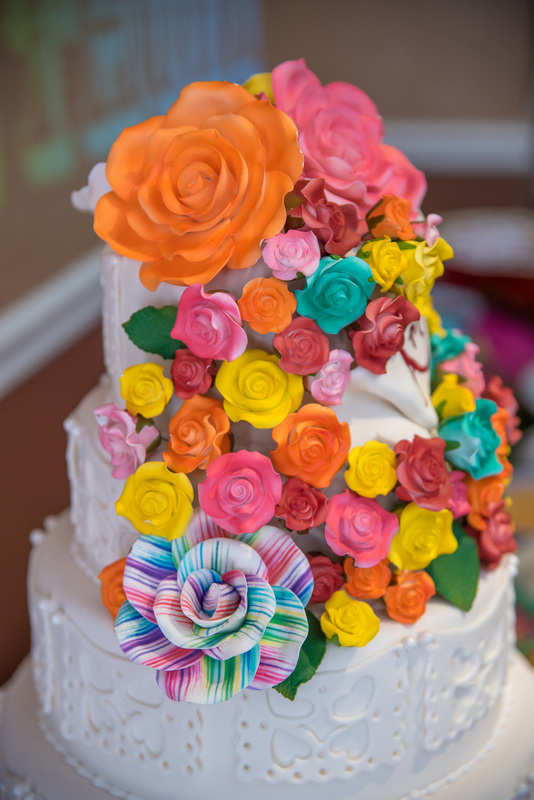 This three tiered cake, made by Marilyn’s Bakery of Hobart, was just as breathtaking as it was delicious. 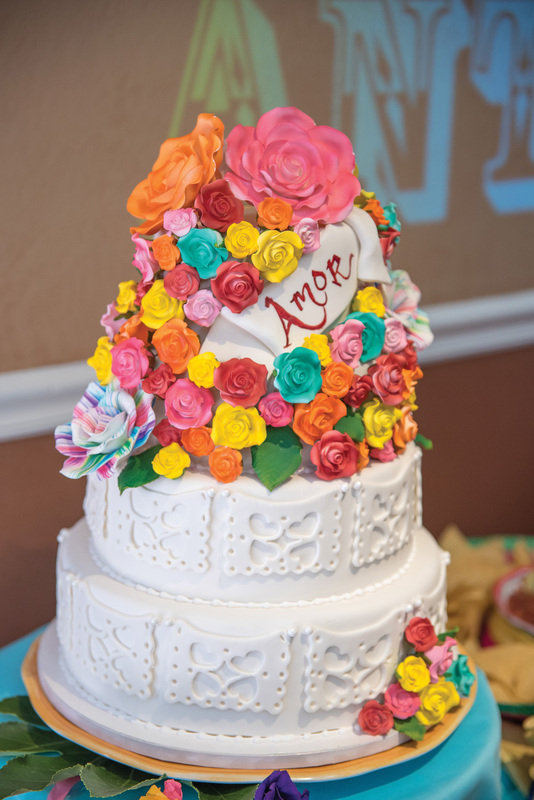 Every single rose was hand crafted and perfectly placed to create the ultimate Cinco de Mayo cake. 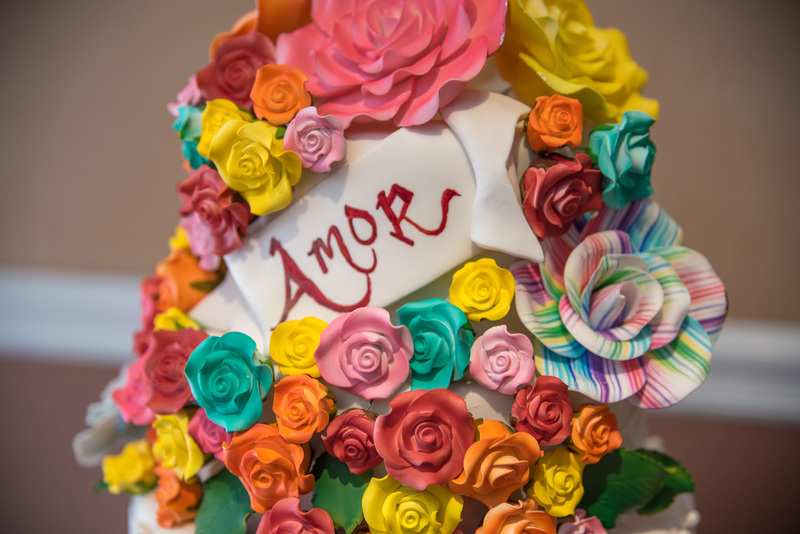 Marilyn’s Bakery specialty is creating custom cakes for any occasion but they don’t stop there. 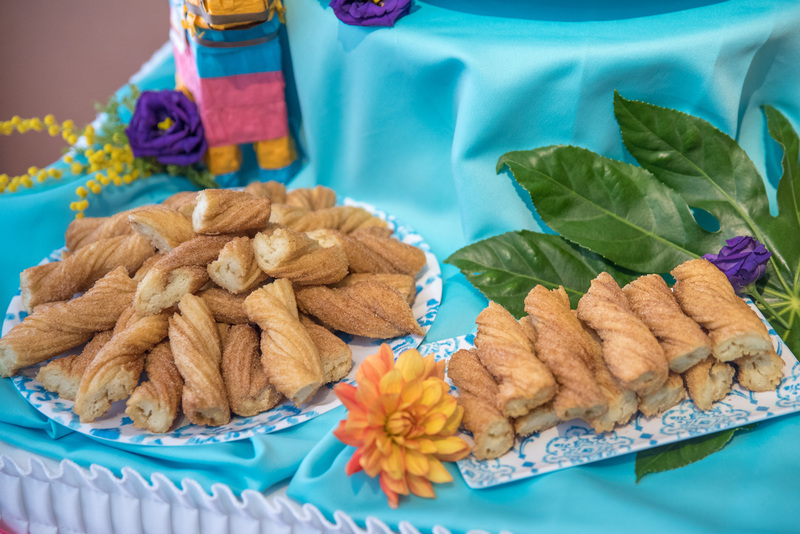 They also offer pies and catering. 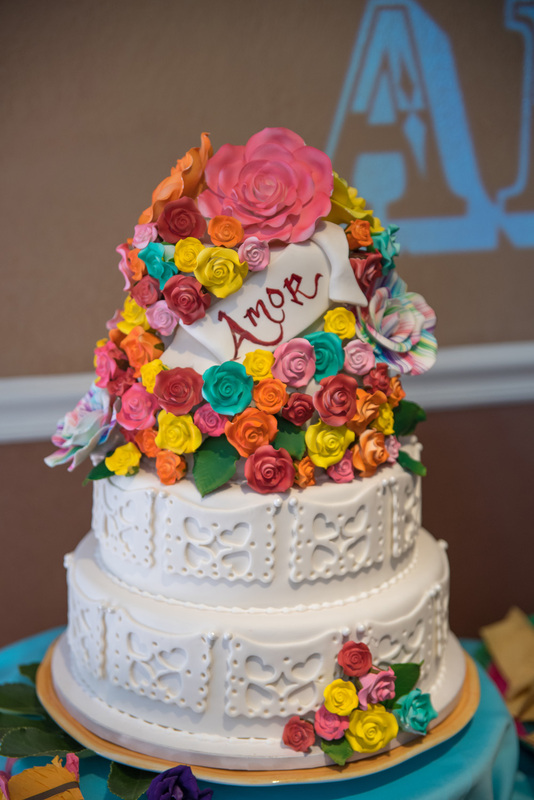 Check out their custom cake gallery on their website or let them help you create your own. We were so lucky to have such a stunning model, Adeline Perez. Adeline was not only the model for the day, but also provided the makeup for the stylized shoot. When Adeline is not modeling, you can find her working days at Jay Marie Salon. 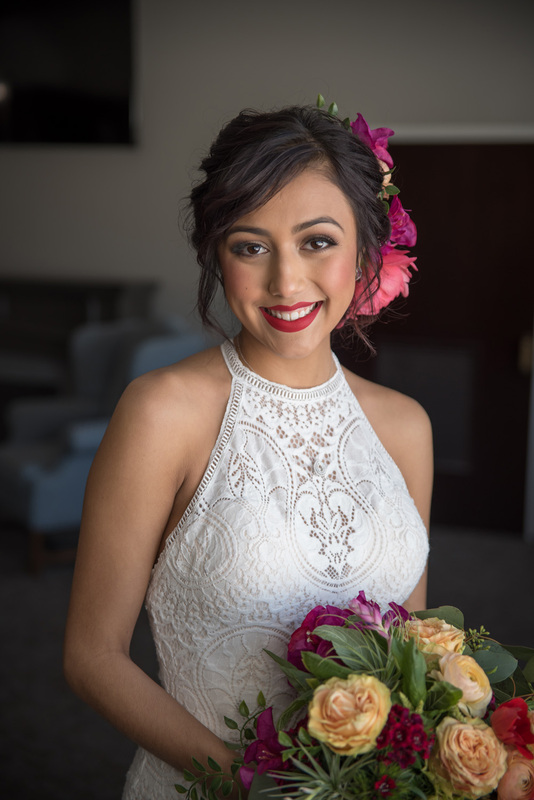 She is so talented and super sweet and would be a great person to hire for your wedding day makeup. 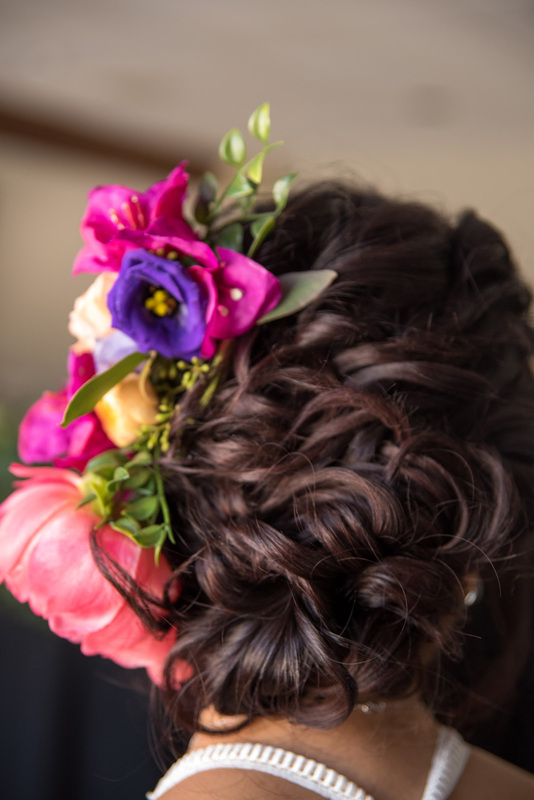 Also from Jay Marie Salon, Kara Seman, was the artist behind Adeline’s romantic up-do. Jay Marie Salon is a full service salon located in Schererville and offers a variety of services hair cutting, hair coloring, nails, massages, waxing, skincare, makeup & eyelashes. 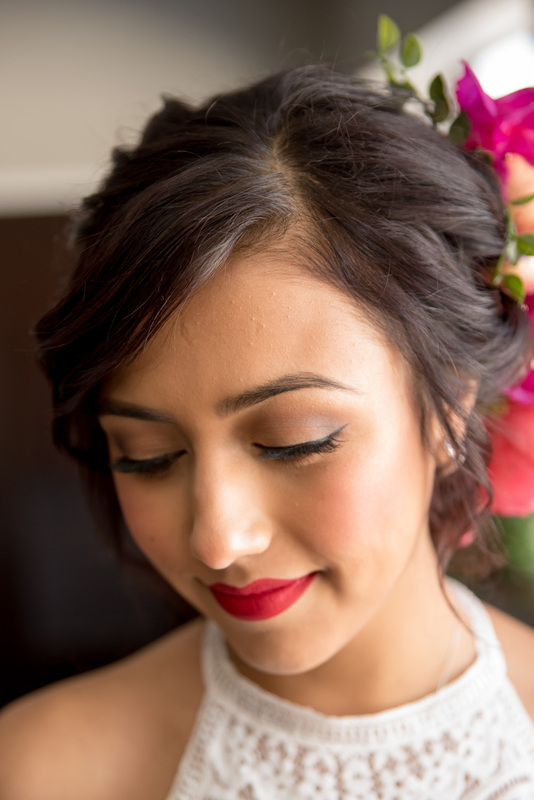 They love working with brides & bridal parties and will make you look your best for your big day. 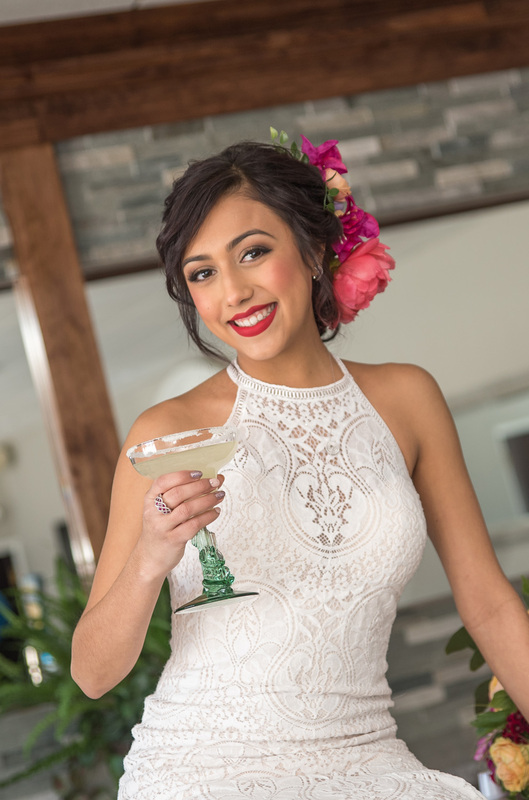 This exquisite dress our model is wearing is the Wilderly “Julie” from Allure and ready for you to try on at Something Blue Bridal in Schererville. The lace overlay on this dress can fit any boho to classic theme and the lightweight train lies so perfectly. 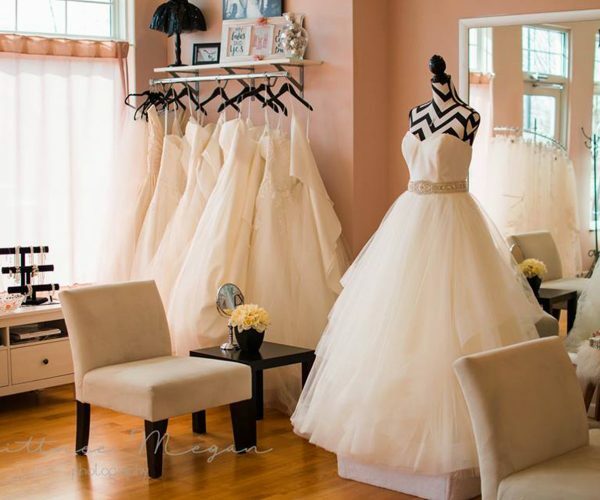 The ladies at Something Blue Bridal are so attentive and helpful and love the opportunity to help you say “YES!” to the dress. 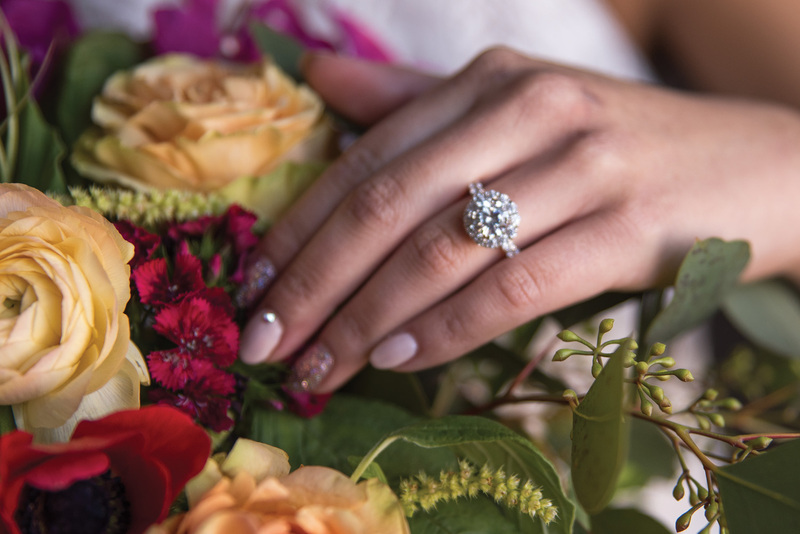 Aaland Diamond Jewelers is your diamond destination if you are looking for the perfect engagement ring, wedding band set or bridal jewelry. They have an extraordinary collection of sparkling jewelry from rings, bracelets, necklaces and watches. Our model is showcasing a beautiful flower shape engagement ring, ruby and diamond patchwork ring, unique colored earrings, a diamond tennis bracelet and a teardrop diamond necklace. Aaland Diamond Jewelers is located right off I-65 at Route 30, in Merrillville, across from the old Radisson Star Plaza. 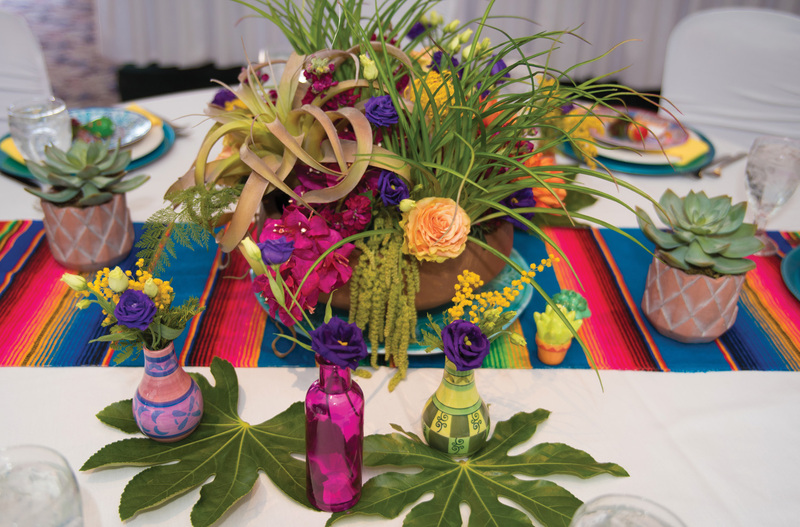 How Sweet It Is Events was fiesta ready with this creative and bold “Cinco de Mayo” theme. 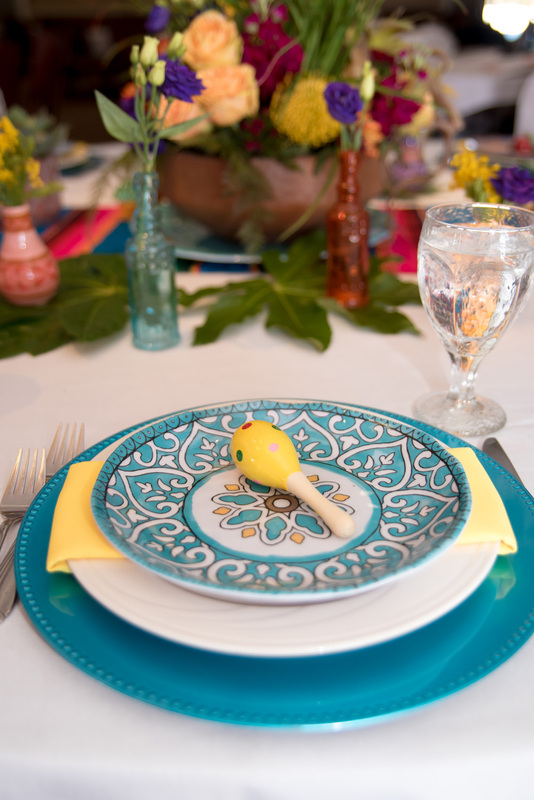 They provided the teal charger plates and Spanish style mismatched plates with fun maracas as favors. 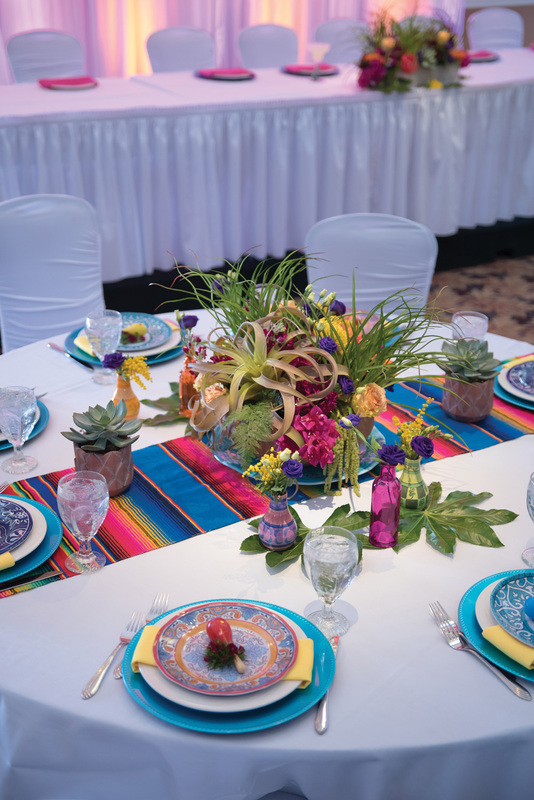 The fun fiesta table runners added beautiful color to the white linens and chair covers. They also provided the drapery behind the head table, which is an impressive addition to any venue. 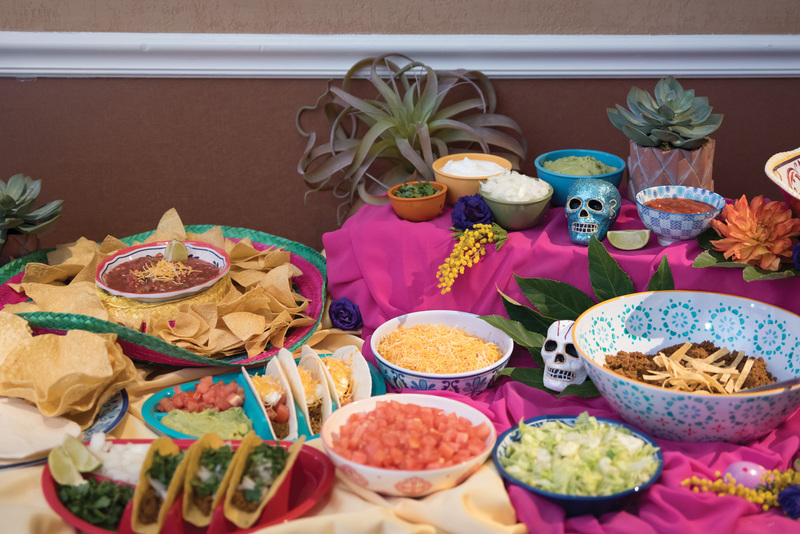 The last minute addition was the color, custom monogram behind the taco bar. 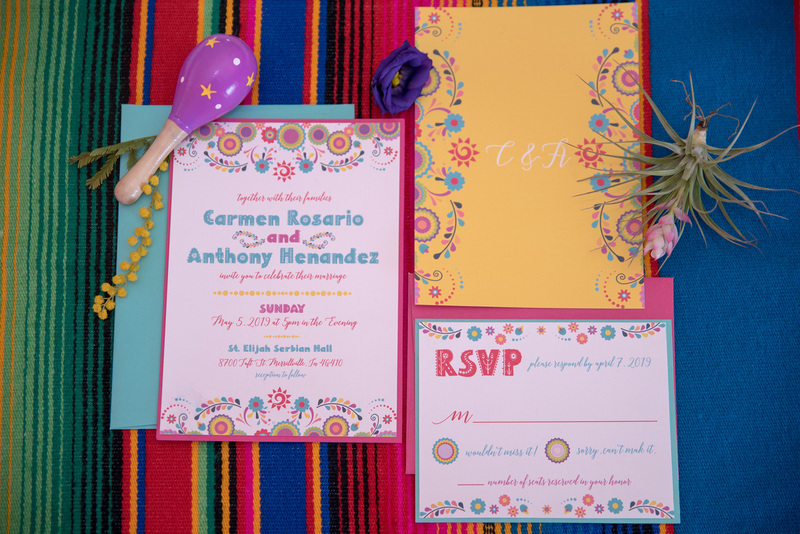 The Cinco de Mayo invitations were also designed and printed by How Sweet It Is Events and they love designing custom stationery to match your wedding theme. 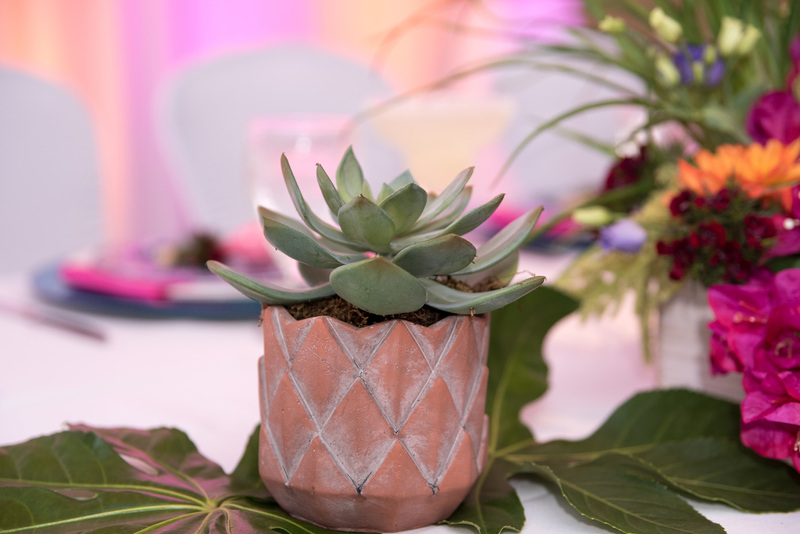 Although, creating custom event design is kind of their specialty; How Sweet It Is Events is also known for rental centerpieces, specialty linens, same day coordination, Chiavari chair rental, unique invitations, elegant candy buffets and an awesome dount wall. 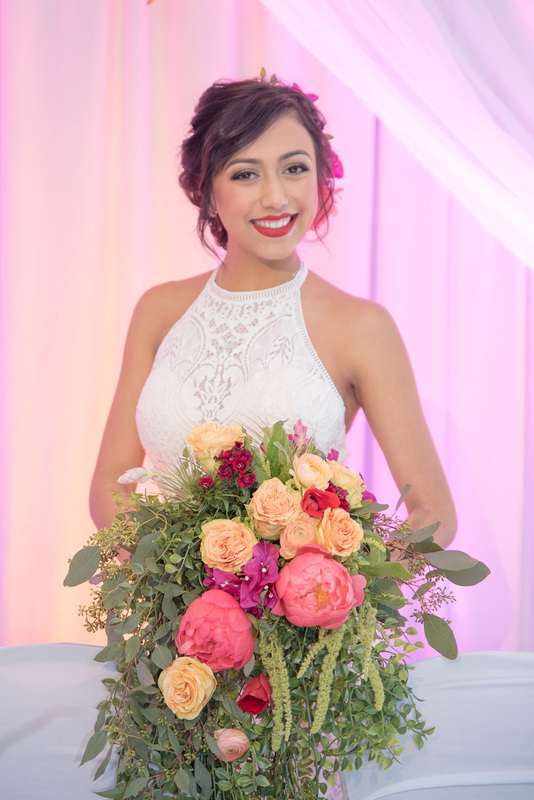 Make an appointment at their Crown Point location today to make your wedding vision come to life!